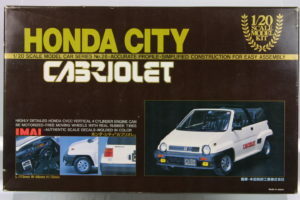 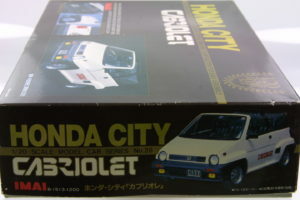 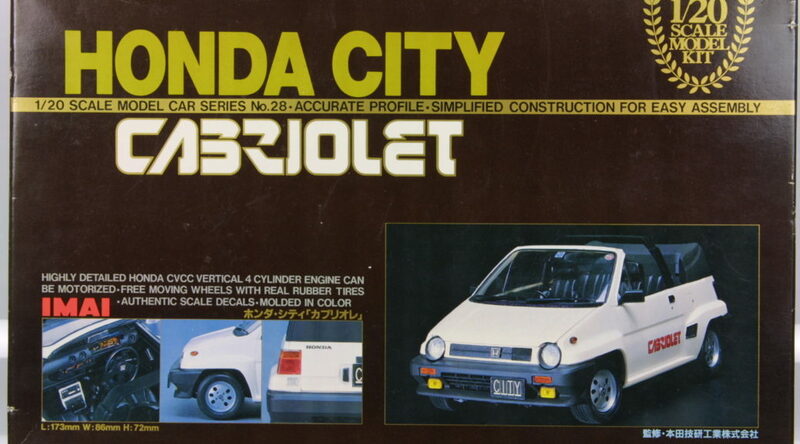 A 1/20 kit by Imai of the Honda City Cabriolet. 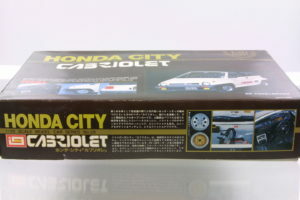 The scale is unusual for a road car since most kits come in 1/24. 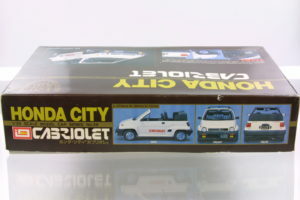 This model is no longer in the collection.